Lovell Mann from a gofundme page set up for the family. Three people were killed after a violent crash on the 91 Freeway in Cerritos early Saturday, and two of the victims are children. 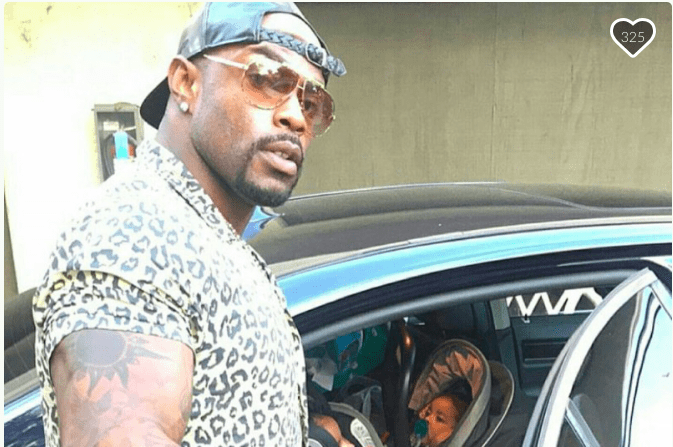 The victims were later identified as Lavell Mann, a personal trainer, 33, Logan Mann, a 3-year-old girl and Legend Mann, a 9-month-old boy, according to the Los Angeles County coroner’s office. The California Highway Patrol said three vehicles were involved in the crash just after 1 a.m. on the westbound 91 at Pioneer Boulevard. A red jeep rear-ended a gas tanker, then slammed into the center median and landed upside down in the carpool lane. Then, a black BMW hit the jeep, according to investigators. A 6-year-old child and a 34-year-old man in the BMW suffered minor injuries and were taken to the hospital. Around 2 a.m., four lanes were shut down. All lanes were reopened just before 6 a.m., according to the CHP. For the past 60 years, Cerritos is always been in the Forefront for newsworthy items of some kind of major catastrophe or incidents. August will be the 30th anniversary; Mexican airplane crash over the post office area. Almost a hundred people were killed. Video below shows some photos of this air disaster, plus many other accidents.